The best LinkedIn profile you have ever seen… What should it look like? I’m not talking about the obvious parts like a professional profile picture, a supporting background photo, a catchy headline. Is there a part in your profile where you really make a difference? I would love to hear your comments and examples of profiles that really stand out. Of course there is not just one profile that ticks all the boxes or one answer to this question. Each part should be seen as a ‘stand alone’. So, each part could be optimized in a different way. Below you’ll find some examples on how I feel you could optimize specific parts of your profile. Again I would love to hear your suggestions. The information people write in their summary is sometimes ok, sometimes it’s great and sometimes… But the thing I miss most in many profiles is how to reach out to the the person behind this profile. And isn’t that what we just want to achieve, a connection, a phonecall, getting acquainted. That’s why I start my summary with: ➤ Pls. feel free to contact me: ✉ info @ guystrijbosch.nl ☏ 0031 (0)6-39766268. Especially because only the first 2 lines are visible on desktop. On smartphones even less. Not everyone has filled out their contact or personal info, a missed opportunity I would say. Why not using the possibility to publish 3 relevant website pages? Many profiles show just one URL which is often their ‘homepage’. Is this the right page I’m looking for as a visitor? It could be the 2nd page in which you’ll explain your services combined with the right introduction. By filling out your address you’re also to be found by Google maps. In many cases the Experience section is a summary of job titles without any description or logo. No logo means no company page. No company page means missing out on extra free exposure. When looking at your job title, is it crystal clear the thing that you do? Perhaps not when talking about following job titles; Account manager, Business Director, Lawyer, Projectmanager, Engineer. Don’t get me wrong, we all know roughly what a lawyer does. Just be more specific. Are you a criminal lawyer, an employment lawyer or a family law attorney? Pls. refine your job title so others understand as well what it is that you do. It’s all about details as in ‘water boils at 100 degrees Celcius not at 99’. I also miss out ‘rich media’ or visuals in many profiles. A video or picture makes your profile more attractive. Not only to look at but also to support your visibility when you’ve added a description for this picture or video. Too many times I see a list of all-purpose concepts like Business, Marketing or Dutch. Talking about this last skill, very good when you are a Dutch writer or a translator, but when you live in the Netherlands, people expect you to speak Dutch. So no value added here. Publish the skills your target market is searching for. Recommendations are so valuable when building up your professional profile. Start by giving off course. But when looking for a recommendation to receive, just ask your clients for a recommendation when they’re satisfied about your cooperation. When they find it difficult to write such a recommendation, help them by writing a concept recommendation to which they can add their own details. You’ll then have all the right (SEO) terms. Of course valuable content you’ll share is the most important part of standing out on LinkedIn. Building a good relationship with connections and followers by sharing the right content, by having a dialogue… There’s no better way to work on your visibility, credibility and as a result of this profitability, meaning; selling your services or products, getting in touch with the right people, finding the right job etc. etc. LinkedIn is changing all the time so this is an ongoing process. The list above isn’t complete but it gives you a good start on where possibly to improve your profile. Hopefully you think this article being valuable enough to share with your network. If you have tips please share them with us. 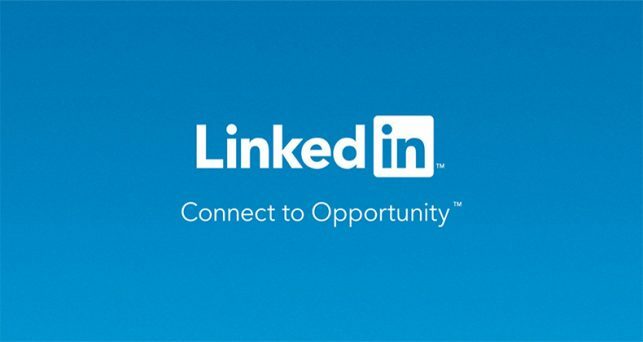 If you have had good response on the changes you’ve made to your profile or if you know someone you would nominate for ‘the best LinkedIn profile’, also leave a comment and add the reason why for sharing this specific profile. Guy Strijbosch has been an independent LinkedIn strategist since 2009. Due to his international background, connecting is in his DNA. He lives in the Netherlands.